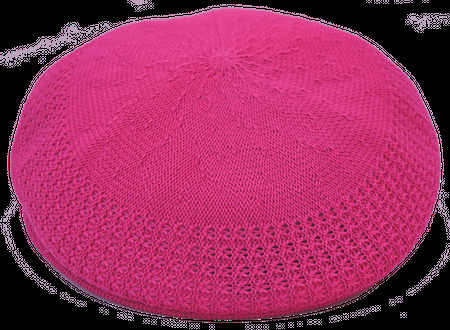 If you like to wear fuchsia color linen outfits, you're going to need to wear a matching fuchsia color ivy summer mesh cap to finish your look. These made for Summer mesh caps are not only stylish but really complete the look you're striving for. Featuring the Kangol style without the Kangaroo on the back and ready for the party.